Orlando Bosch was born on 18th August, 1926, in the village of Potrerillo, about 150 miles east of Havana, Bosch was the son of Miguel Ángel Bosch Cruz and Rosa Ávila Villalonga. His father, a former policeman, was a successful restaurant owner. His mother was a teacher. In 1946 enrolled at the University of Havana. As a student he held liberal opinions and joined Fidel Castro in the campaign to remove Fulgencio Batista, the military dictator in Cuba. According to Bosch’s autobiography he was forced to flee to Miami in the late 1950s because Batista forces were about to arrest him. After Batista was defeated, Bosch returned to the island to help rebuild the country as a supporter of the triumphant Castro forces. However, Bosch soon became disillusioned with the Castro government and he left the country in July 1960. After the Bay of Pigs. Bosch ran an anti-Castro training camp for the Central Intelligence Agency in Homestead, Florida. Bosch gradually became convinced that the Cubans had been betrayed by President John F. Kennedy and wrote a pamphlet about this called The Tragedy of Cuba. According to Marita Lorenz, Bosch became a member of Operation 40, a CIA assassination squad. One member, Frank Sturgis claimed: "this assassination group (Operation 40) would upon orders, naturally, assassinate either members of the military or the political parties of the foreign country that you were going to infiltrate, and if necessary some of your own members who were suspected of being foreign agents... We were concentrating strictly in Cuba at that particular time." 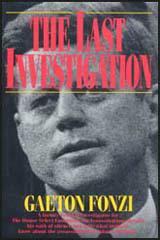 Lorenz pointed out that a few days before the assassination of John F. Kennedy, a group including Bosch, Frank Sturgis, Guillermo Novo and Pedro Diaz Lanz, travelled to Dallas. She also claimed that Bosch was at a motel in Dallas when Kennedy's murder was planned. Bosch founded the contra-revolutionary group called "Poder Cubano" (Cuban Power) which he used as a means of developing and implementing his terrorist theme of war throughout the world. According to Cuban authorities Bosch was involved in 78 terrorist attacks on Spain, England, Japan, Mexico, Poland, and other countries that traded with Cuba. In February, 1968, Ricardo Morales Navarrete was arrested and charged with placing an explosive device in the building of a company trading with Cuba. He was eventually released on this charge and agreed to become a FBI informer and went to work for Bosch. In October, 1968, United States officials arrested Bosch for terrorist activities. Ricardo Morales Navarrete provided evidence against him and he was sentenced to 10 years in prison. Bosch was freed in 1972. The following year he moved to Venezuela where he joined up with Guillermo Novo and Luis Posada. On 25th November 1975, leaders of the military intelligence services of Argentina, Bolivia, Chile, Paraguay, and Uruguay met, with Juan Manuel Contreras in Santiago de Chile. The main objective was for the CIA to coordinate the actions of the various security services in "eliminating Marxist subversion". Operation Condor was given tacit approval by the United States which feared a Marxist revolution in the region. The targets were officially leftist guerrillas but in fact included all kinds of political opponents. Bosch soon became involved in this undercover operation. In October, 1976, the midair explosion of Cubana Flight 455 flying out of Barbados killed all 73 people aboard. This included all 24 young athletes on Cuba's gold-medal fencing team. Police in Trinidad arrested two Venezuelans, Herman Ricardo and Freddy Lugo. Ricardo worked for Posada's security agency in Venezuela and admitted that he and Lugo had planted two bombs on the plane. Ricardo claimed the bombing had been organized by Bosch and Luis Posada. When Posada was arrested he was found with a map of Washington showing the daily route of to work of Orlando Letelier, the former Chilean Foreign Minister, who had been assassinated on 21st September, 1976. Herman Ricardo and Freddy Lugo were both sentenced to twenty years imprisonment. In 1987 Bosch was freed with the help of Otto Juan Reich, the White House's leading adviser on Latin America. Bosch entered the United States, where he was granted asylum. He was eventually pardoned by President George Bush on 18th July, 1990. Bosch was interviewed by Dollan Cannell for his documentary, 638 Ways to Kill Fidel Castro (2006). He was asked if he and the CIA were involved in the bombing of Cubana Flight 455. Bosch replied that he was not allowed to talk about such matters. He was therefore not able to answer “yes” or “no”. He then pointed out that he had been accused of organizing the placing of bombs on three Cuban planes. He then went onto to justify this action by claiming that as far as he was concerned he was a soldier carrying out orders in a war against Fidel Castro. The film then showed a clip of George W. Bush making a speech where he says “people who harbour terrorists, are also terrorists”. This was followed by an explanation of how the Bush family had protected Bosch and Luis Posada over the years. Wayne S. Smith then appeared on camera to argue that by his own definition, Bush was a terrorist. Orlando Bosch died in Miami on 26th April, 2011. We asked Bosch about Antonio Veciana, whom he called "a good friend." He said he knew that Veciana was instrumental in organizing the assassination plot against Castro in 1971. "We do not call it an assassination attempt," said Bosch. "We call it a 'justice action'." More significant, he was familiar with the details of the plot. "That was the best chance we had, Castro in Chile. There were these two guys right in front of Castro with the machine gun hidden in the camera. Right in front of him with a machine gun from here to there, but these two guys, these two - I want to qualify them - bastards, were in front of him and one was scared and the other was chicken. Right in front of Castro!" Bosch shook his head in dejection, his shoulders sagged with the weight of his sorrow for the lost opportunity. Although Bosch knew all about the failed "justice action," he said he did not learn of the details from Veciana. "A friend told me exactly what happened," said Bosch. Al Gonzales and I assumed that "friend" was his prison pal and co-conspirator in the airline bombing, Luis Posada. Bosch, however, said he wasn't aware of Veciana being involved with any American intelligence agent in the planning, and that Veciana had never mentioned a Maurice Bishop to him. "This Bishop you ask about, I do not know," he said. "But I believe it could be true because Veciana is an action man and to do all the things he did you have to have a lot of connections, and that's not too easy." The candid assessments offered by Orlando Bosch were in striking contrast to what we got from Luis Posada. He strolled into the room casually self-assured, a good-looking guy in his late forties, tanned and tall with no hint of prison pallor. His brown hair was trimmed and styled, his shirt tailored, his trousers sharply creased. Prison life seemed to agree with him. Posada was deliberately vague about the chronology of his association with the CIA. "All Cubans work for the CIA," he laughed. He admitted taking the Agency's secrecy oath after leaving Fort Benning but said he didn't remember when he left the Agency's employ. What we didn't know at the time was that Posada was a major figure in an international game of intrigue then in progress. It was more than intrigue, it was a kaleidoscope of deceptive allegiances among the world's most cunning intelligence operatives. Only years later, when time and more probing cleared some of the fog, would I be able to glimpse the larger pattern. It is, of course, in that larger pattern where men on the level of David Atlee Phillips leave their marks. The records, for instance, indicate that Luis Posada was dropped by the CIA in 1967. However, I would later learn that it was in the summer of that same year when Posada was drinking a beer with a friend at the Centre Vasco, a popular Basque restaurant on Miami's Calle Ocho, when a strange man in a dark suit approached him. Where the man came from or who sent him, Posada claims he doesn't know, but the man brought with him an offer for Posada to join DISIP. The offer came at a time when Castro, his eye on Venezuela's rich oil reserves, had dispatched scores of his own covert agents to organize the country's leftist guerrillas and the CIA was tracking that activity very closely. (2) Ricardo Morales Navarrete was interviewed by Douglas L. Williams in Miami on 5th April, 1982. Q. Have you ever... either fabricated or assisted in the fabrication of an explosive or placed or assisted in the placement of an explosive that blew up an airliner? Have you ever done that? A. I'm going o cut it short for you. Yes. Q. Oh how many different occasions? A. 1976. Let me correct myself, so I won't have to do it tomorrow. The craft involved was a communist Air Force plane from the Republic of Cuba. Q. How many people were on board? A. There were, including North Korean spies, Gwyenas, Cadres, DGI personnel, and Air Force officers of the Cuban Air Force, and assorted members of the Cuban Communist Party. There is a big discrepancy, which I believe that the government of Cuba is the only one who can come up with the exact figure. Q. What is the best information you have? A. According to the Press, which is, to the best of my knowledge, is wrong, 73. Q. Did you place that explosive device on the aircraft, or did you fabricate it? A. No, I did not place it, and I did not fabricate it. Q. What part did you have in that incident? Q. Yes, what did you do? A. Oh, I was part of the conspirators. Q. What specific part did you play that resulted in the blowing up of that airplane? A. Oh, surveillance of the regular flights of that Cuban Air Force plane, providing by a third party the explosives. Q. Is that to say that you made available the explosives to the people who actually did the manual work through a third person as intermediary? Q. At the time that you furnished the explosives, did you know that they were going to be used to sabotage or blow up that airplane? A. Not at the beginning, and the source of explosive, Mr. Williams, was a result of the search that was executed by agents of my division in a house that suspected of being used by foreign intelligence enemies, and there was a lot of material that was seized there, and there was some explosives that they were found there, which were, of course, turned over to the Explosives end and Disposal Division of the DISIP, and that's where - that's from where, later on, the explosives found their way into this Cuban Air Force plane. Q. Were you responsible either directly or indirectly for the explosives finding their way eventually into the airplane? A. I share the responsibility. Q. I understand. Did you know at the time that you took whatever steps were necessary in order for the explosives to be put on their path that eventually wound up inside the airplane? Q. Did you know that they were going to be used to explode the airplane? Q. Dr. Bosch was specifically charged with either perpetrating that incident, himself, or having assisted in putting it together; wasn't he? Wasn't he charged with that in Venezuela? A. He is still in jail. Q. My question to you, sir, is whether he was charged with responsibility for that incident? Q. Did you ever come to have knowledge of the published passenger manifest indicating the people who, according to the public media, were passengers on that airplane? Q. Didn't you learn that there were on board several women who ostensibly were traveling as spouses or mates or partners to some of the men on board? A. They fall in the category of assorted communist party members. A. That there were women aboard? Q. Did you also learn, sir, that there were children under the age of eighteen on board that airplane? A. I didn't know that there were any children on board. Q. You haven't learned that? A. No, I haven't learned that. Q. If, in fact, there were children under the age of eighteen on board that airplane, would you still regard them as being communist sympathizers under any circumstances? A. I will consider them - that is preposterous because I have no knowledge about that, but that is preposterous, but to please you, Williams, I will say that they will belong to the Youth Communist Organization, and in due time, they will become full-fledged communists. The terrorist activities of Orlando Bosch are fully documented in the book Deadly Secrets by Warren Hinkle and William Turner, who in turn drew their information from a Senate investigation led by Senator Kerry into the activities of the CIA. Bosch was a cohort of Posada Carriles, a Cuban pediatrician who became a world renowned terrorist for the CIA. Carriles has taken claim for the recent wave of hotel bombings in Havana, Cuba. Both men were trained together at Fort Benning, Georgia. Bosch was the founder of the "Command of the United Revolutionary Organizations" formed to cooperate with the DINA Chilean secret police and other Latin American repressive organisms in the murder of leftists throughout the region, including the assassination of the Chilean ambassador, Letelier, in Washington, DC. The US government has repeatedly declined to extradite Bosch to Cuba to stand trial for the bombing of the Cubana airliner in 1976. In my opinion, there can only be two clear reasons for the denial. One, Bosch would prove very embarrassing for the US at a trial in Cuba. Two, his extradition would destroy the close political relationship between the exile Cubans who demanded his release and the Republican Party. According to the New York Time of August 17, 1989, Cuban right-wing congressperson Ros-Lehtinen met with former President Bush to negotiate Bosch's release. The meeting was arranged by her campaign manager, Jeb Bush, who had earlier met with Cuban hunger strikers also demanding the release. Bosch was pardoned on July 18, 1990 and the New York Times was the lonely voice denouncing Bush's pardon on an editorial published July 20, 1990. Everything would seem to indicate that terrorist Luis Posada Carriles has taken refuge in Honduras, his traditional lair along with El Salvador. However, although the national authorities have confirmed that he is being sought, there are no details on his presence and far less on his detention, as was announced ion the Cuban Television Roundtable program. Meanwhile the United States is keeping quiet on the pardon signed by President Mireyas Moscoso, who released the notorious killer and three of his accomplices serving a prison term for an attempt to assassinate President Fidel Castro during an event at the University of Panama in 2000. Statements condemning the shameful pardon signed by the Panamanian president have continued. The Panamanian people never imagined that one of their governors would bend to U.S. directives to such a degree, affirmed Panamanian lawyer Julio Berrios, repudiating the pardon allowing the release of the four anti-Cuban terrorists. The president has acknowledged that she made that call. Other Panamanian figures likewise condemned the pardon of the four terrorists of Cuban origin. Former president Jorge Illueca described it as a blow to Latin American integration. This act, he added, affects the deepest sentiments of Pan-Americanism which, in addition to the rupture of diplomatic relations with Cuba, has already prompted the withdrawal of the Venezuelan ambassador and Hugo Chávez absence from the investiture of the incoming president. Gassán Salama, the former governor of the province of Colón, who resigned in protest over the pardon, qualified it as a world disgrace, an act that demonstrated Moscosos lack of interest in combating terrorism. In Bogotá, more than 100 participants in the Voices of the World Congress for Peace rejected the humiliating decision of the Panamanian leader, which exposes a high degree of opportunism and hypocrisy to gratify Washingtons anti-Cuba policy. The Mexican Communist Party affirms that by releasing the four terrorists, Moscoso has become an accomplice of those who in 1976 placed the bomb aboard the Cubana passenger plane that cost the lives of 73 people, and those who made an attempt on the life of President Fidel Castro in particular at the Ibero-American Summit. Honduran authorities said Friday they continue to believe Cuban exile Luis Posada Carriles is no longer in the country, but that, if he's captured, they would consider Cuba's extradition request. Leónidas Rosa Bautista, Honduras' minister of foreign relations, told reporters on Thursday that an extradition request had been submitted by Cuba and that, if Posada is apprehended, he would be "immediately deported.' Cuba, meanwhile, has said that Posada would be condemned to death. Posada - who is wanted by Cuba on numerous terrorism and assassination charges - was among four exiles pardoned last month by Panama's former President Mireya Moscoso. They had been imprisoned four years ago on convictions tied to an assassination plot against Cuban President Fidel Castro. Three of the exiles, Gaspar Jiménez, Pedro Remón and Guillermo Novo - all of whom are U.S. citizens - returned to their homes in Miami. Posada, 76, who is not a U.S. citizen, is believed to have fled to Honduras where he went into hiding. Authorities in that country said they have information indicating Posada fled to the Bahamas or another Caribbean country but could not be absolutely certain. Branded by Castro as ''the worst terrorist in the hemisphere,'' Posada is wanted in connection with the 1976 midair bombing of a Cuban jetliner in which 73 people were killed. The former CIA operative also is accused of orchestrating a dozen terror bombings of Havana tourist spots in 1997, and numerous plots to assassinate Castro. Last week in Miami, Luis Posada Carriles´s accomplice in the downing of the Cuban passenger plane that was blown out of the sky with 73 innocent people on board on October 6, 1976 was interviewed by Juan Manuel Cao of Channel 41 in Miami. His name is Orlando Bosch. Juan Manuel Cao: Did you down that plane in 1976? Orlando Bosch: If I tell you that I was involved, I will be inculpating myself . . . . and if I tell you that did not participate in that action, you would say that I am lying. I am therefore not going to answer one thing or the other. Juan Manuel Cao: In that action 76 persons were killed (the correct figure is 73, including a pregnant passenger)? Orlando Bosch: No chico, in a war such as us cubans who love liberty wage against the tyrant, you have to down planes, you have to sink ships, you have to be prepared to attack anything that is within your reach. Juan Manuel Cao: But don´t you feel a little bit for those who were killed there, for their families? Orlando Bosch: . . . Who was on board that plane? Four members of the Communist Party, five north Koreans, five Guyanese, (JP: there were really 11 Guyanese passengers) . . . concho chico, four member of the Communist Party chico!!! Who was there? Our enemies . . .
Juan Manuel Cao: And the fencers? The young people on board? Orlando Bosch: I was in Caracas. I saw the young girls on television. There were six of them. After the end of the competition, the leader of the six dedicated their triumph to the tyrant etc etc. She gave a speech filled with praise for the tyrant. We had already agreed in Santo Domingo, that every one who comes from Cuba to glorify the tyrant had to run the same risks as those men and women that fight alongside the tyranny. Juan Manuel Cao: If you ran into the family members who were killed in that plane, wouldn't you think it difficult? Orlando Bosch: No, because in the end those who were there had to know that they were cooperating with the tyranny in Cuba. Bosch´s answers to those five questions give us a glimpse into the mind of the kind of terrorist that the United States government harbors and protects in Miami: terrorists that for the last forty-seven years have waged a bloody and ruthless war against the Cuban people. What happened to Cubana de Aviación 455 almost thirty years ago is no secret. We need simply examine the CIA's own declassified cables. At the time, this was the worst act of aviation terrorism in history, and the first time that a civilian airliner was blown up by terrorists. More than three months before CU-455 was blown out of the sky over Barbados on that sunny Wednesday afternoon of October 6, 1976, the Central Intelligence Agency (CIA) informed Washington that a Cuban exile extremist group planned to place a bomb on a Cubana de Aviación flight. The State Department's Bureau of Intelligence and Research reported to Secretary of State Henry Kissinger that a CIA source had overheard Luis Posada Carriles say less than a month prior to the bombing that "we are going hit a Cuban airliner." Neither Washington nor the CIA alerted Cuban authorities to the terrorist threat against their planes. The bombing was carried out by Luis Posada Carriles, Orlando Bosch, Hernán Ricardo and Freddy Lugo. Final preparations for the terrorist act began with the arrival of Orlando Bosch in Caracas on September 8, 1976. Bosch is a Cuban-born terrorist who was the acknowledged leader of an organization called Coordinación de Organizaciones Revolucionarias Unidas (CORU). According to the FBI, CORU was an umbrella group of Cuban exile organizations that was formed to "plan, finance and carry out terrorist operations and attacks against Cuba." (FBI cable dated June 29, 1976). When Bosch arrived in Caracas on the 8th of September of that year, Posada Carriles was there to greet and make available to him his right hand man: trusted confidante Hernán Ricardo, who has admitted under oath to be a CIA operative. In 1976, Ricardo was also an employee of Luis Posada Carriles at a private intelligence firm that the latter founded and ran in Caracas: Investigaciones Comerciales e Industriales (ICI). Ricardo says that Posada Carriles introduced him to Orlando Bosch at the ICI offices in Caracas. To help him with the special operation that Bosch and Posada planned for him, Ricardo in turn recruited Freddy Lugo. A Venezuelan citizen, Lugo has also admitted under oath to be a CIA operative. We know that the foursome of Posada, Bosch, Ricardo and Lugo met together at least four times to plan the downing of the plan. At the meetings, the terrorists agreed upon the coded words they would use to describe the success of the operation. The plane would be known as the "bus", and the passengers would be called the "dogs." "The rest is up to you," Posada told Lugo and Ricardo. The C-4 explosives were carried on board the aircraft by Ricardo and Lugo in a tube of toothpaste and in a camera. Freddy Lugo and Hernán Ricardo boarded the CU-455 flight in Trinidad at 12:15 PM bound for Barbados. Ricardo traveled under a forged passport using a false name. They sat in the middle of the plane. During the flight, they placed the C-4 explosives in two separate places in the plane: the rear bathroom and underneath the seat belonging to Freddy Lugo. Lugo and Ricardo got off the plane during its brief stopover at Seawell Airport in Barbados. They later admitted under oath that they had each received special training in explosives from the CIA. Aboard CU-455 were 73 persons. 57 of the passengers were Cubans. 11 of them were Guyanese medical students in Cuba. The remaining five passengers were Koreans. Those on board averaged only 30 years of age. Traveling with the group were 24 members of the Cuban fencing team, many of them teen-agers, fresh from gold medal victories at the Youth Fencing Championship in Caracas. They proudly wore their gold medals on board the aircraft. One of the young fencers, Nancy Uranga, was only twenty-three years old and pregnant. She wasn't supposed to be on board. That spot on the fencing team belonged to a pretty little twelve-year old fencer, unusually tall for her age, named María González. María had planned to participate in the Caribbean Games, and was on the tarmac at Havana's José Martí Airport ready to board the plane that would take the team to the Games, when one of her coaches gave her the bad news that international amateur rules prevented twelve year olds from competing. María reportedly was devastated, and she went to her home in Havana's neighborhood called La Víbora, and cried for three days, refusing to watch the games on Cuban television because it hurt her so much not to be there. Nancy Uranga was summoned to the Airport and took María´s place on the ill fated trip to the Caribbean Games. The fencing team was a roaring success at the Games. They won gold, silver and bronze medals. They were to return home on October 6, 1976. The athletes proudly wore their medals dangling over their clothes, as they boarded the aircraft. Cubana de Aviación 455 stopped first in Trinidad at 11:03 AM, and then touched down again in Barbados at 12:25 PM. Nine minutes after take-off from Barbados, the bombs exploded and the plane caught fire. The passengers on board then lived the most horrifying ten minutes of their lives, as the plane turned into a scorching coffin. The cockpit voice-recorder captured the last terrifying moments of the flight at 1:24 PM: "Seawell! Seawell! CU-455 Seawell. . . ! We have an explosion on board. . . . . We have a fire on board." The pilot, Wilfredo Pérez (affectionately known as "Felo"), asked Seawell Airport for permission to return and land, but the plane and its passengers were already doomed. As the plane approached the shore, it was rapidly losing altitude and control. "Hit the water, Felo, Hit the Water," said the co-pilot. Rather than crashing into the white sands of the beach called Paradise and killing the beachgoers, Felo courageously banked the plane toward the water where it crashed in a ball of fire one mile north of Deep Water Bay. Pieces of bodies were slowly recovered from the sea. Most of them too grotesquely disfigured to be identified by their family members. There were no survivors. After deplaning, Lugo and Ricardo hurriedly left Seawell Airport in Barbados and checked into a local hotel under assumed names. "We are in a desperate situation, the bus was fully loaded with dogs . . . they should send someone I can recognize . . . I will be waiting in a soda fountain near the embassy just in case something happens and I need to ask for asylum there." Ricardo was able to communicate with Bosch who allegedly said to him: "my friend we have a problem here in Caracas. An aircraft is never blown up in midair . . .", implying that the plan had been for the bomb to explode while the plane was on the ground before take-off. Sensing how hot things were getting for them in Barbados, Lugo and Ricardo boarded a return flight to Trinidad on British West Indies Airlines that very evening. On the flight, Ricardo said to his buddy: "Damn it, Lugo, I'm desperate and feel like crying. I had never killed anyone before." In Port of Spain, the terrorists checked into the Holiday Inn with false identities and made more desperate calls to Caracas, trying to reach Posada Carriles. Their nervous demeanor at the airport and at the hotel, as well as their conversations in the taxis they took in Barbados and later in Trinidad, led the police to zero in on them as the primary suspects in the bombing. They were arrested and interrogated by detectives from the Trinidad police department. Both confessed to Commissioner Dannis Ramdwar who took their written depositions. Lugo and Ricardo each admitted to being CIA operatives. Ricardo described in detail how he could detonate C-4 explosives and pointed to a pencil on Ramdwar´s desk that was similar to the timer he used to detonate the explosive on board the plane. Ricardo also told the police in Trinidad that he worked for Luis Posada Carriles. He told Ramdwar that the head of CORU was Orlando Bosch and drew for the police an organizational chart of CORU and said that the terrorist organization was also known as Condor. Upon hearing of the confessions of Lugo and Ricardo, the police in Caracas moved in and arrested Posada and Bosch. They also obtained a warrant and searched the offices of Posada Carriles where they confiscated weapons and sophisticated electronic monitoring equipment. The police also found a schedule of Cubana flights in Posada´s Caracas office. In one of the very first reports on the October 6, 1976, downing of Cubana Flight 455, the FBI Venezuelan bureau cables that a confidential source has identified Luis Posada and Orlando Bosch as responsible for the bombing. "The source all but admitted that Posada and Bosch had engineered the bombing of the airline," according to the report. During the television interview three days ago in Miami, Bosch talked about an agreement reached between terrorists in Santo Domingo in June of 1976. The FBI itself tells us about that secret agreement. According to an FBI report, Orlando Bosch, Luis Posada Carriles and other terrorists formed an umbrella terrorist organization called CORU at a meeting in the Dominican Republic. The FBI report details how at that meeting in the Dominican Republic, CORU planned a series of bombing attacks against Cuban entities, as well as the murder of Communists in the Western Hemisphere. On page 6, the report relates in great detail how Orlando Bosch was met in Caracas on September 8, 1976, by Luis Posada and other anti-Castro exiles and a deal was struck as to what kind of activities he could organize on Venezuelan soil. After the arrests of Lugo, Ricardo, Bosch and Posada, Trinidad, Barbados, Guyana and Cuba ceded jurisdiction over the downing of the passenger plane to Venezuela, and all four were prosecuted in Caracas for murder. Prosecuting terrorists has a price. The Judge who issued the initial arrest warrants for the four terrorists, Delia Estava Moreno, received several death threats and attempts at blackmail as reprisals for her conduct. As a result, she was forced to recuse herself. The presiding judge of the military court, Retired General Elio Garcia Barrios, also received death threats and in 1983, his son and chauffeur were murdered during a Mafia-style hit intended to even the score and intimidate those who dared legally prosecute the murderers. Eventually, Lugo and Ricardo were convicted, but before the Court could reach a verdict regarding his case, Luis Posada Carriles escaped from the prison at San Juan de los Moros in the State of Guárico where he had been confined after two unsuccessful escape attempts. Posada escaped with the help of at least $50,000 from a right wing extremist group in Miami. Fifteen days after his escape from jail, Posada was smuggled out of Venezuela bound for Aruba on a shrimp boat. He spent a week in Aruba and was then flown by private plane to Costa Rica and then San Salvador. He immediately started working alongside Felix Rodriguez, a high ranking CIA member, at the Ilopango Airbase. Posada´s job in San Salvador was to supply the Nicaraguan Contras with arms and supplies obtained through the sale of narcotics. This Operation became a scandal known as Iran-Contra. Felix Rodriguez was the CIA's point man in Central America for the Iran-Contra scandal, hired for the job by an old friend from the CIA Donald Gregg who was Vice-President Bush's National Security Advisor. According to Anna Louise Bardach who interviewed Posada while she was a reporter for the New York Times, "Posada noted with a certain pride that George Bush had headed the CIA from November 1975 to January 1977"- a period that covered some of the most violent crimes committed by Cuban exiles and Operation Condor: including the Letelier assassination and the downing of the passenger plane. Posada spent the next several years in Central America working for the security services of El Salvador, Guatemala and Honduras. But in the early 90s he turned his attention once again to Cuba which was struggle to jump start a tourist industry in order to offset a dramatic economic downturn after the demise of the Soviet Bloc. From his lair in Central America he recruited Salvadoran and Guatemalan mercenaries to smuggle explosives to Cuba, and in 1997 bombs began to blow in the finest hotels and restaurants of Havana-killing an Italian tourist named Fabio DiCelmo and wounding several others. Cuba learned that the campaign of terror against its tourist industry was being financed by Miami exile organizations and orchestrated by Luis Posada Carriles in Central America. Faced with the FBI´s refusal to reign in the terrorists in Miami, Cuba sent some very brave men to penetrate these terrorist organizations and gather information with the purpose of asking President Clinton to intervene and order the Feds to arrest the terrorists. After gathering enough evidence to determine the source of the terror campaign, on May 1, 1998 Fidel Castro sent a personal emissary to Washington with a handwritten message to President Clinton: the emissary was none other than Nobel Prize for Literature Gabriel García Márquez. President Clinton was out of town for several days in California, and after waiting him out at the Hotel Washington for several days, García Márquez finally met with White House Chief of Staff Mac McLarty and gave him the letter. García Márquez recounts McLarty´s reaction to the letter and quotes McLarty as saying to him: "We have enemies in common: terrorists". In the wake of the Garcia Marquez visit, the U.S. sent an FBI team to Cuba a month later to discuss collaboration with Cuba on a "War On Terror". Cuba handed over to the FBI tapes of 14 telephone conversations of Luis Posada Carriles with details on the series of bombs that had exploded in Cuba in the 90s. Cuba also gave the FBI Luis Posada Carriles´ addresses in El Salvador, Honduras, Costa Rica, Guatemala and Panama. Also tapes of conversations with Central American detainees in Cuba who admitted Posada is their boss. All together, Cuba turned over 60 sets of documents with information about 40 terrorists based in Miami, including their addresses, and evidence of their ties to terror. Cuba then waited . . . and waited . . . and waited. Cuba waited for the FBI to start arresting terrorists. But instead the FBI arrested on September 12, 1998, the men now known as the Cuban Five: the men who had come to Miami to penetrate the Miami exile terrorist organizations. According to El Nuevo Herald, the first persons that were notified of the arrests of the Cuban Five were Cong. Lincoln Diaz Balart and Ileana Ros-Lehtinen of Miami. The Five were charged with 62 counts of violating federal laws. Their arrests illustrates Washington's double standard when it comes to its so-called war on terror: a war that the U.S. government chooses to fight a la carte, distinguishing between terrorists it likes and those it doesn't. The Five were placed in solitary confinement for the next 17 months, until the start of their trial. They were convicted of several charges and received the maximum sentences possible. Gerardo Hernandez received a double life sentence and Antonio Guerrero and Ramon Labañino on life sentence each. Fernando Gonzalez and René Gonzalez, got 19 and 15 years respectively. They were sent to maximum security prisons across this country, and two of them have been denied visits from their wives for the past seven years in violation of U.S. laws and international law. On August 9, 2005, a 3 judge panel of the Court of Appeals published a 93 page decision that reversed the convictions and sentences, ruling that the Five did not receive a fair trial in Miami and acknowledging evidence produced by the defense at trial that revealed terrorist actions by Miami exile groups against Cuba. The Court of Appeals even cited in a footnote the role of Luis Posada Carriles and correctly referred to him as a terrorist. The three-judge panel found that "a perfect storm" of prejudice prevented the Cuban Five from having a fair trial in Miami. The Bush Administration, through its Solicitor General, made a formal appeal to all 12 judges of the Eleventh Circuit in Atlanta, and out of apparent deference to the unusual request from the Department of Justice the Court of Appeals nullified the three-judge panel decision and agreed to hear the case en banc. Attorney Leonard Weinglass who represents Antonio Guerrero said recently: "The Five were not prosecuted because they violated American law, but because their work exposed those who were. By infiltrating the terror network that is allowed to exist in Florida they demonstrated the hypocrisy of America's claimed opposition to terrorism." As the Five were being prosecuted in Miami, the campaign of terror against Cuba continued. In November 2000, Posada Carriles was arrested in Panama along with three accomplices before they could carry out the plan to blow up an auditorium filled with students at the University of Panamá where Cuban President Fidel Castro was to speak. The four were convicted by a Panamanian Court, but on August 26, 2004, in one of her last acts as President, Mireya Moscoso pardons them in violation of Panamanian law. The three accomplices, all Cuban-Americans, go to Miami to be welcomed home. Posada Carriles who is neither a U.S. citizen nor a lawful permanent resident, goes underground in Honduras and begins to scheme a plan to go to the home of terrorism: Miami. In March of 2005 he shows up in Miami and applies for asylum. For weeks he lives openly in that city, even going shopping at the mall. Before he is detained by anyone, Venezuela requests his preventive detention for the purpose of extraditing him to Venezuela to stand trial for 73 counts of first degree murder relating to the downing of the passenger plane in 1976. Rather than exercising an extradition detainer on him, the Department of Homeland Security instead did nothing. It wasn't until Posada called a bizarre press conference in Miami on May 16, 2005 where he openly boasted that the DHS wasn't even looking for him, that government officials felt they had no choice but to detain him. He was detained immediately after the press conference and gingerly escorted in a golf cart with no handcuffs to a waiting helicopter. Posada was charged with illegal entry into the United States and thus began the legal charade designed to divert attention from the extradition request that remains unattended by the Department of Justice. As relief from deportation, Posada first claimed he was still a permanent resident of the U.S. In the alternative, he asked for asylum and protection from removal under the Convention Against Torture (CAT). Although it is true that he had been a permanent resident in the 60s, Posada long ago abandoned that status. After all, he has spent the last almost forty years living and killing abroad. Because of his long curriculum of terror, as a matter of law he does not qualify for asylum. That left him only with the possibility CAT relief. It was then that we witnessed one of the sorriest episodes of legal maneuvering ever by Department of Homeland Security attorneys. Those handling the immigration matter of Posada Carriles at the Immigration Court in El Paso, Texas set the table for Posada to win CAT relief. Posada called only one witness in his immigration case. A so-called expert on Venezuela who testified that in his expert opinion, Posada would be tortured if returned to Caracas. The witness testified that Venezuela tortures prisoners and that Posada would be surely tortured if sent back. That witness was none other than Joaquín Chaffardet, friend, business partner and lawyer of Luis Posada Carriles in Venezuela. Chaffardet had also been Posada´s boss at the DISIP in the early 1970s, a man that Posada has been close to for the past forty years. The DHS never even cross-examined this guy! Its attorney never even raised the possibility that Chaffardet was not an objective, disinterested witness-but instead was biased in favor of his friend, partner and client. Other than Chaffardet´s questionable testimony, no other evidence in support of the theory that Posada would be tortured in Venezuela was presented. DHS´s tactic worked. Immigration Judge William Abbott credited Chaffardet´s testimony as credible and found a "clear probability" that Posada would be tortured if returned to Venezuela. Judge Abbott ordered his removal from the United States, but not to Venezuela or Cuba because he would be tortured there. DHS declined to appeal the decision, and began a quest to find a third country that would take him. A few months earlier the DHS had appealed an Immigration Judge´s decision to grant CAT relief to two Venezuelan officers. In that appeal, the same DHS attorney who litigated the Posada case argued that there is no evidence that Venezuela tortures prisoners. Now in the Posada case, DHS took a decidedly different position. Why? You figure it out. More than six months have passed since the immigration decision. Since it has thus far refused to slap an extradition detainer on him (as Venezuela has requested numerous times), the U.S. government has to either release Posada or declare him a threat to the community. In a letter to Posada dated March 22, 2006, DHS decided to continue to detain him on immigration charges. The letter told Posada that he has a "long history of criminal activity and violence in which innocent civilians were killed." His release from detention concludes ICE in its letter to Posada, "would pose a danger to both the community and the national security of the United States." In support of its interim decision to continue to detain him, ICE cites Venezuela's pending extradition case against Posada and the fact that Posada fled from a Venezuelan prison while his trial for the downing of a passenger plane in 1976 was pending. "Your past also includes your escape from a Venezuelan prison which was accomplished after several attempts utilizing threats of force, explosives and subterfuge," says ICE in its Decision. ICE goes on to cite Posada's own statements to link him to the "planning and coordination of a series of hotel and restaurant bombings that occurred in Cuba . . . in 1997." These bombings resulted in the murder of an Italian tourist and the wounding of several others. ICE also cites Posada's conviction in Panama for "crimes against national security," in reference to his attempt to assassinate Cuban President Fidel Castro in 2000 with C- 4 explosives as President Castro was to speak to an auditorium with full of students. So finally the US government recognizes that Posada is a bad guy! Without actually saying the dreaded word, the letter from ICE virtually calls him a terrorist. The law forced the United States to make this admission. Although it's clear that Washington doesn't want to extradite him to Venezuela, it is not prudent to release him. The only way that he can continue to be detained without an extradition detainer is with a government finding that he is a danger to the community. The story of CU-455 cries out to be told to the American people. If the American people hear the true story of how those 73 people were murdered in cold blood by terrorists whom the United States prefers to shelter rather than prosecute, they'll not stand for it. Few people in this country know that Orlando Bosch was released from immigration custody by President George Bush Sr. in 1990, and that he now sits on the dais whenever President Bush Jr. delivers speeches in Miami. Bosch´s lawyer, who happens to be Fulgencio Batista´s grandson, was appointed four years ago by Jeb Bush to Florida's Supreme Court. The fate of the Cuban Five is in the hands of 12 judges, but the judges must be put under the microscope of public opinion. Despite your best efforts, Americans still don´t know who the Five are or why they went to Miami. It's important that you continue to make sure that their story is told: that the U.S. prosecutes and condemns anti-terrorists, yet shelters and protects terrorists. It's up to the American people to put a stop to impunity, and it's up to you to make sure the American people learn the truth about these cases and this government. It's up to you to bring the truth to the American people about Cuba and about Venezuela. The US government conducts a hypocritical war on terror, while it shelters and rewards the terrorists it prefers. Washington lectures other governments about human rights, while it blockades Cuba, using hunger as a foreign policy tool, in order to try and starve 11 million people into submission. We cannot sit idly by while the U.S. government blockades and invades countries that have never attacked it, tortures prisoners and takes their pictures as if the victims were curiosity pieces rather than human beings, as it spies on Americans without a warrant, and tramples the civil rights of its citizens with a law whose authors dared title "Patriotic." In 2002, Washington helped organize a failed coup against a democratically elected government in Venezuela in order to prop up a typical puppet government in Caracas. Thanks to the Venezuelan people, the coup failed and President Chávez was restored to office. The blockade against Cuba didn't work and neither did the coup in Venezuela. Cuba and Venezuela are now stronger than ever. The Bush Administration's policies at home and abroad have woken a sleeping and silent giant throughout this continent. And, yes: America is one continent and not two as some U.S. textbooks would have us believe. We are in the midst of a new social movement that is shaking this continent to its core. On the 30th anniversary of Operation Condor's bloodiest year, we are witness that the people Latin America have taken back their countries from the grip of terror. Argentina, Uruguay, Venezuela, Brazil, Chile and Bolivia have governments that respond to the needs of their own people, rather than to the interests of US corporations. Other countries in will soon join them. This is an election year in America. The people of Latin America are taking back their governments. It's high time that the people of the United States did the same. For nearly half a century, the CIA and Cuban exiles have been trying to devise ways to assassinate Fidel Castro, who is currently laid low in Cuba following an operation for intestinal bleeding. None of the plots, of course, succeeded, but, then, many of them would probably be rejected as too fanciful for a James Bond novel. Fabian Escalante, who, for a time, had the job of keeping El Commandante alive, has calculated that there have been a total of 638 attempts on Castro's life. That may sound like a staggeringly high figure, but then the CIA were pretty keen on killing him. As Wayne Smith, former head of the US interests section in Havana, pointed out recently, Cuba had the effect on the US that a full moon has on a werewolf. It seems highly likely that if the CIA had had access to a werewolf, it would have tried smuggling it into the Sierra Maestra at some point over the past 40-odd years. The most spectacular of the plots against Castro will be examined in a Channel 4 documentary entitled 638 Ways to Kill Castro, as well as in a companion book of the same name written by the now-retired Escalante - a man who, while in his post as head of the Cuban secret service, played a personal part in heading off a number of the plots. While the exploding cigar that was intended to blow up in Castro's face is perhaps the best-known of the attempts on his life, others have been equally bizarre. Knowing his fascination for scuba-diving off the coast of Cuba, the CIA at one time invested in a large volume of Caribbean molluscs. The idea was to find a shell big enough to contain a lethal quantity of explosives, which would then be painted in colours lurid and bright enough to attract Castro's attention when he was underwater. Documents released under the Clinton administration confirm that this plan was considered but, like many others, did not make it far from the drawing-board. Another aborted plot related to Castro's underwater activities was for a diving-suit to be prepared for him that would be infected with a fungus that would cause a chronic and debilitating skin disease. One of the reasons there have been so many attempts on his life is that he has been in power for so long. Attempts to kill Castro began almost immediately after the 1959 revolution, which brought him to power. In 1961, when Cuban exiles with the backing of the US government tried to overthrow him in the Bay of Pigs fiasco, the aim was to assassinate Fidel and Raul Castro and Che Guevara. 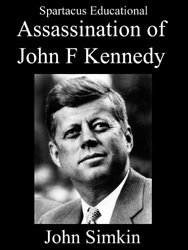 Two years later, on the day that President Kennedy was assassinated, an agent who had been given a pen-syringe in Paris was sent to kill Castro, but failed. On one occasion, a former lover was recruited to kill him, according to Peter Moore, producer of the new film. The woman was given poison pills by the CIA, and she hid them in her cold cream jar. But the pills melted and she decided that, all things considered, putting cold cream in Castro's mouth while he slept was a bad idea. According to this woman, Castro had already guessed that she was aiming to kill him and he duly offered her his own pistol. "I can't do it, Fidel," she told him. No one apparently could. This former lover is far from the only person to have failed to poison Castro: at one point the CIA prepared bacterial poisons to be placed in Castro's hand-kerchief or in his tea and coffee, but nothing came of it. A CIA poison pill had to be abandoned when it failed to disintegrate in water during tests. The most recent serious assassination attempt that we know of came in 2000 when Castro was due to visit Panama. A plot was hatched to put 200lb (90kg) of high explosives under the podium where he was due to speak. That time, Castro's personal security team carried out their own checks on the scene, and helped to abort the plot. Four men, including Luis Posada, a veteran Cuban exile and former CIA operative, were jailed as a result, but they were later given a pardon and released from jail. As it happens, Posada is the most dedicated of those who have tried and failed to get rid of the Cuban president. He is currently in jail in El Paso, Texas, in connection with extradition attempts by Venezuela and Cuba to get him to stand trial for allegedly blowing up a Cuban airliner in 1976. His case is due to come back before the courts later this month but few imagine that he will be sent to stand trial, and he appears confident that he will be allowed to resume his retirement in Florida, a place where many of the unsuccessful would-be assassins have made their homes. Not all the attempts on Castro's life have been fancifully complicated: many have been far simpler and owe more to the methods of the mafia who used to hang out in the casinos and hotels of Havana in the 40s and 50s, than they do to James Bond. At one time the CIA even approached underworld figures to try to carry out the killing. One of Castro's old classmates planned to shoot him dead in the street in broad daylight much in the manner of a mafia hit. One would-be sniper at the University of Havana was caught by security men. But the shooters were no more successful than the poisoners and bombers. All these plots inevitably changed the way Castro lived his life. While in his early years in office, he often walked alone in the street, but that practice had to change. Since then doubles have been used, and over the decades Castro has moved between around 20 different addresses in Cuba to make it harder for any potential hitmen to reach him. Meanwhile, jokes about Castro's apparent indestructibility have become commonplace in Cuba. One, recounted in the New Yorker this week, tells of him being given a present of a Galapagos turtle. Castro declines it after he learns that it is likely to live only 100 years. "That's the problem with pets," he says. "You get attached to them and then they die on you". Orlando Bosch, a prominent Cuban exile militant charged and then acquitted in the bombing of a Cuban jetliner in 1976, died in Miami Wednesday. He was 84. His death came after a lengthy stay in the hospital where he “faced a long and painful illness,” according to a statement issued in the name of the family by anti-Castro activist Pedro Corzo who is a family friend. The cause of death was not immediately released. Bosch was one of two exile militants – the other being Luis Posada Carriles -- who throughout the second part of the 20th century were closely identified with the long violent struggle against the Cuban regime. Posada Carriles, 83, was recently tried in El Paso, Texas on charges of lying to U.S. immigration officials about how he sneaked into the United States in 2005 and his alleged role in bombings of Cuban tourist sites in 1997. He was acquitted on all charges after a 13-week trial. In 1976, Posada and Bosch were arrested in Venezuela and accused of masterminding the plane attack – a charge both strongly denied. In a telephone interview in July 2005, two months after Posada was arrested in Miami, Bosch told The Miami Herald that the “truth’’ about the plane would be revealed in a tape and documents to be made public after his death. A pediatrician by profession, Bosch gave up medical practice to pursue the armed struggle against Castro. A rural anti-Castro guerrilla at first, Bosch eventually went into exile in South Florida joining the ranks of other “men of action’’ who fought the Castro regime from abroad through sabotage operations. These die-hard anti-Castro militants operated like international urban fighters, constantly in hiding in foreign countries -- occasionally surfacing to strike a Cuban target anywhere in the world. The shadowy Cuban militants, terrorists to some, struck targets on the island from the United States or attacked Cuban interests or the interests of Cuban allies in other countries. Bosch’s most famous attack occurred Sept. 16, 1968 when he and other exiles allegedly fired a recoilless rifle at a Polish freighter docked at the Port of Miami. Found guilty in the attack, Bosch was sentenced to 10 years in prison but after being paroled fled abroad. Bosch would not return to Miami until 1988, after being acquitted of the plane bombing charge and released in Venezuela. Bosch called his strategy “war along the paths of the world,’’ a method by which he was willing to go anywhere to attack Cuban targets. He wrote in his 2010 book Los Años que he Vivido or The Years I have Lived that he chose the path of armed struggle out of a desire to free Cuba of the Castro tyranny. Born on Aug. 18, 1926 in the village of Potrerillo, about 150 miles east of Havana, Bosch was the son of Miguel Ángel Bosch Cruz and Rosa Ávila Villalonga. Bosch’s father was first a policeman in Potrerillo and later a successful restaurant owner in the same village. His mother was a teacher. After attending primary and secondary school in towns near Potrerillo and the nearby city of Santa Clara, Bosch moved to Havana in 1946 to enroll at the University of Havana’s medical school. It was there that Bosch first saw Fidel Castro, the man who was to be his future nemesis. In a passage in his autobiography, Bosch recalls his first glimpse of Castro in a near shootout with a rival student leader across from a café frequented by students. Bosch, like millions of other Cubans at the time, gravitated toward Castro as he led the revolution that ultimately forced dictator Fulgencio Batista to flee Cuba early in the morning Jan. 1, 1959. Bosch even played a significant role in an underground revolutionary cell that operated in Las Villas in support of Castro’s forces in the Sierra Maestra mountains of eastern Cuba. “I belonged to that underground cell and Bosch was our boss,’’ recalled Mariano Cruz, now a Miami letter carrier who like Bosch and hundreds of thousands of other Cubans fled the island to escape the Castro takeover. Cruz said he met Bosch in Miami but had heard of him in Las Villas when both supported the revolution against Batista. When Batista fled Cuba, Bosch immediately returned to the island to help rebuild the country as a supporter of the triumphant Castro forces. It didn‘t take long for Bosch to lose hope in the Castro revolution. Meetings with Fidel Castro and Argentine-Cuban revolutionary leader Ernesto “Che” Guevara confirmed Bosch’s suspicions that dictatorship and Communism were coming. Bosch writes that he became upset when Guevara ignored his request not to execute two men suspected of being Batista spies unless they were tried first. Bosch says in his book that he helped organize anti-Castro rebels in the Escambray mountains after Castro ignored his requests to stop confiscating businesses and properties. Bosch left Cuba in July 1960 to continue the anti-Castro fight from abroad – especially after the Escambray rebellion and the CIA-backed Bay of Pigs invasion failed. In his book, Bosch says he refused to join the Bay of Pigs operation because previously U.S. officials had refused to help his Escambray allies. By the mid-1960s, Bosch was organizing attacks against Cuba from Florida, apparently without U.S. authorization. From 1964 to 1968, Bosch is linked to a series of actions that repeatedly landed him in trouble with U.S. authorities. In 1964, for example, police arrested Bosch for allegedly towing a homemade torpedo through downtown Miami during rush hour. And in 1966, police found six 100-pound aerial practice bombs in the trunk of Bosch’s Cadillac convertible which had stopped at a roadblock. Two years later Bosch was arrested in connection with the attack on the Polish freighter. Months later Bosch was convicted and sentenced to 10 years in prison at the Atlanta federal penitentiary. Behind bars Bosch learned to paint taking lessons from a fellow inmate. Eventually, Bosch painted countless Cuban landscapes. In his 1994 autobiography, Los Caminos del Guerrero or The Roads of the Warrior, Posada says Bosch’s paintings inspired him to take up painting himself and that he learned techniques from Bosch at one of the prisons in Venezuela where the two Cuban exiles were held after the plane bombing. Paroled in 1972, Bosch returns to Miami but then flees to Latin America. He is in hiding for several years in Chile, Costa Rica, the Dominican Republic and Venezuela. It was in Caracas where Bosch and Posada Carrilas wound up getting arrested in 1976 and charged in connection with the 1976 bombing of the Cuban jetliner that killed 73 people. Four years later, both men were acquitted by a Venezuelan military court in the case. But Bosch and Posada remained in prison pending a prosecution appeal to a civilian court. Posada escaped Venezuela in 1985, but Bosch stayed behind and was ultimately acquitted by the civilian court in 1987. Freed in Venezuela, Bosch flew back to Miami in 1988, but was promptly arrested by U.S. marshals for violating parole in the Polish freighter attack. After serving a three-month sentence, Bosch was immediately detained by immigration authorities who then placed him in deportation proceedings as a convicted felon. Bosch then asked for asylum, but immigration officials rejected the request. Bosch remained confined while immigration authorities unsuccessfully tried to deport him to any country other than Cuba. In the end, Bosch managed to avoid deportation. He wrote in his 2010 autobiography that President George H. Bush overruled the deportation order in 1990. At first, immigration authorities kept Bosch largely under house arrest following his release from federal detention, but gradually the strict conditions of supervision were eased. By the early to mid-1990s, Bosch was again publicly raising money ostensibly for sabotage operations against the Cuban regime. To avoid running afoul of federal authorities, Bosch euphemistically referred to his activities Mortar for Masons – apparently code words for explosives or money for saboteurs. “We’re not talking about flowers or hot meat pies,’’ Bosch said in an interview published in The Miami Herald in 1993. It’s unclear if any of the money Bosch raised during his Mortar for Masons campaign ever resulted in violent attacks in Cuba. A series of bombings at Cuban tourist sites in 1997 were blamed on Bosch’s former co-defendant in Venezuela, Posada, who was tried in El Paso recently for allegedly lying about his role in the attacks. Since the Mortar for Masons episode, Bosch largely kept a low profile even after Posada sneaked into the United States in 2005. The last time Bosch’s name was in the headlines was in October when supporters awarded him a plaque at a University of Miami academic center, an action that triggered protests by some professors at UM and other universities and colleges. The Institute of Cuban Historic Memory staged the event Oct. 12 to mark 50 years of armed struggle in Cuba. In December Bosch and Posada appeared together at the formal presentation of Bosch’s autobiography, The Years I Have Lived. In the last chapter, Bosch expressed deep concerns about the future of Cuba lashing at the hundreds of thousands of exiles who frequently travel to Cuba to visit relatives under an expanded family Cuba travel program authorized by President Obama. Bosch believed that exile trips to Cuba helped the Cuban regime earn foreign exchange. Bosch is survived by his second wife, Adriana, and his children from his two marriages -- Karen, Lourdes, Myriam, Orlando, Vivian and William – as well as five grandchildren.